IZHEVSK, March 06./ITAR-TASS/. The 7th International circus art festival opens at the State Circus of the Repubic of Udmurtia on Thursday within the scope of events of Russia's 2014 Year of Culture. "Once again, our festival has drawn the best circus performers of the world, fine judges and guests of honour. Izhesk is being decked out with the flags of the countries participating in the festival," State Circus Director Dmitry Ivanov told Itar-Tass. 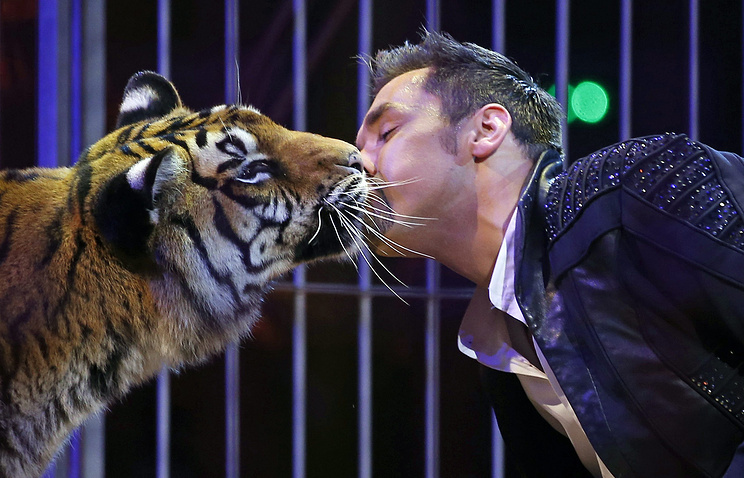 This year, about 200 circus performers have arrived from Hungary, Denmark, Spain, Italy, China, Ukraine, Mongolia, the Netherlands, Peru, the United States, France and other countries. Within the five days of the festival, residents of Izhevsk will watch 28 circus stunts of most diverse genres, ranging from clownery to training. The Chinese circus act "Dancing on the Shoulders", which combines Oriental acrobatics and Western ballet, will be performed on the arena of the Izhevsk-based circus for the first time. To the sounds of classical music, a girl will dance on the tips of the toes on the partner's shoulders. According to Ivanov, over 15,000 tickets were put on sale in December last year and were sold out within two days. Due to the increasing demand, the organizers decided to extend the program for one day: the festival will end with a gala performance by the winners on March 10. The International Circus Art Festival in Izhevsk has been held since 2008. Winners are to be determined by jury members, among them Urs Pils, Vice-President of the Monte Carlo International Circus Art Festival, Tatiana Zapashnaya, First Deputy Director of the Grand Moscow State Circus on Vernadsky Avenue, and Maxim Nikulin, General Director and Art Director of the Moscow-based Nikulin Circus at Tsvetnoy Boulevard.